An ad agency in Buenos Aires, Argentina made this series of print and TV ads for Nugget Shoe Polish. 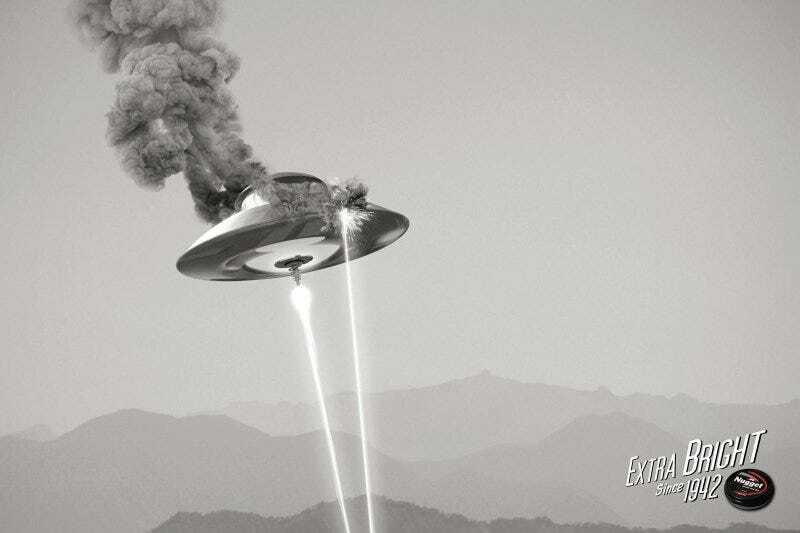 What does shoe polish have to do with UFOs? Well, the obvious point is that UFOs are shiny and shoe polish creates shine. But the truth goes much deeper than that, and involves little boys, exploding woodpeckers, and lots of cars from the 1940s. Click through see to the movie that explains everything.